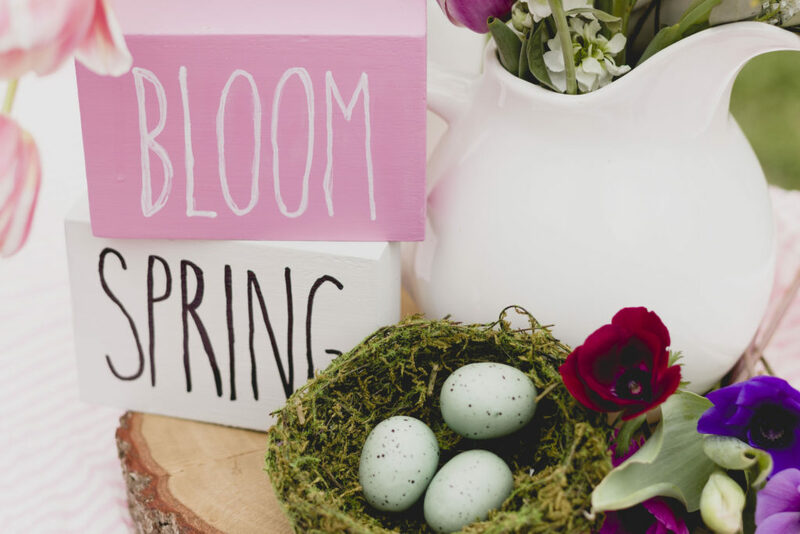 Spring block sign DIY is so easy and quick you will want to make them all. I am ready for spring and all the pretty flowers, so I thought I would get a jump on my decorating and of course that means creating something new. 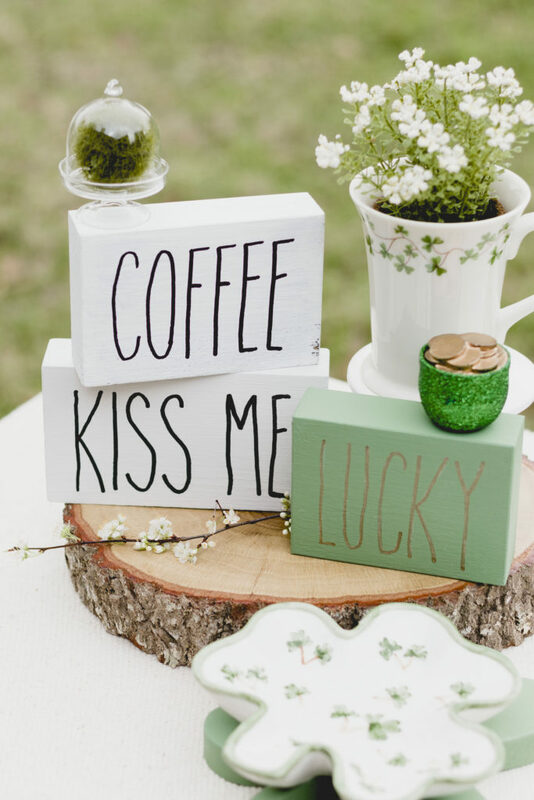 These sweet little signs would be so nice on your desk, kitchen table, mantel, etc. 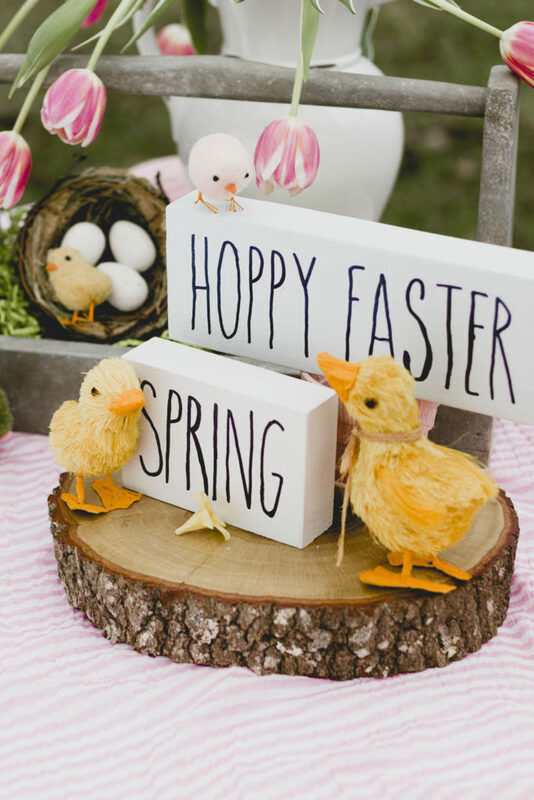 At the end of this post you can download your FREE spring block signs designs. After making my templates for the words I cut the wood scraps to the correct size and sanded the cut edges. 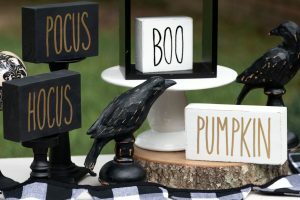 Next, I chose the paint colors and since I adore the Rae Dunn inspired look I use a lot of white paint with black lettering. I used items I had on hand and flowers I purchased from the grocery story along side the new block signs I made with scrap wood to decorate. However, I do add a bit of color to each collection. See the full instructions HERE and grab your free designs by filling out the form near the end of the post. Hop on over and join the insiders list by filling out the form below. Please note your free designs are near the end of the post. I was feeling so lucky I decided to add some St. Patrick’s signs too. Lucky had to be green so green it is. Tea time is a fun sign I will keep out all year since you never know when you might want a spot of tea. 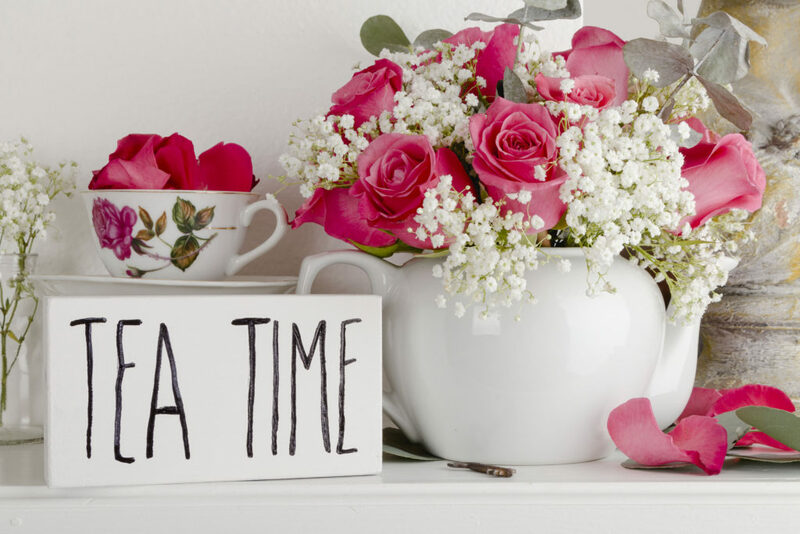 The teapot floral arrangement I made using my favorite floral arranging hack see it HERE. 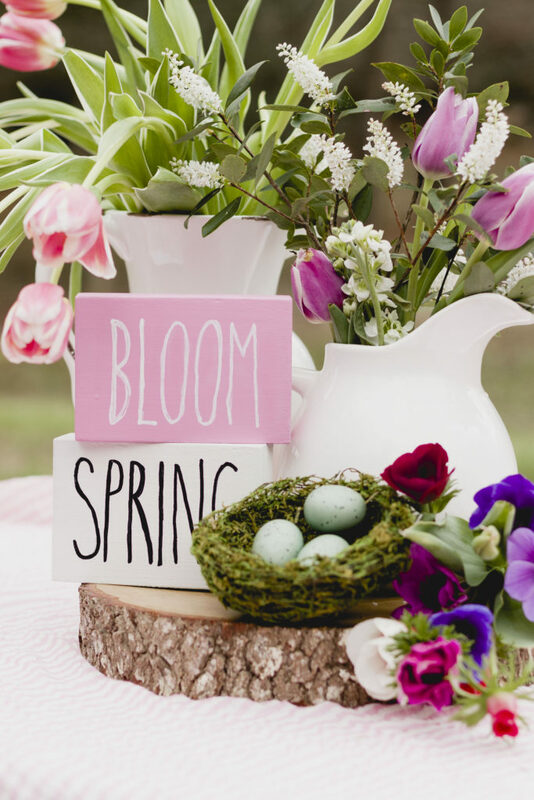 Bloom is so pretty in pink for the spring block sign collection. 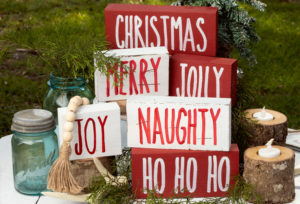 It was so much fun deciding on the sign designs, creating the signs and putting the vignettes together. 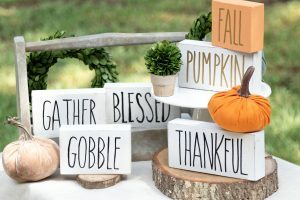 To get the full instructions on how to make these cute signs please checkout my earlier post HERE. Note the wooden tote in the photo below is from an earlier DIY post see it HERE. 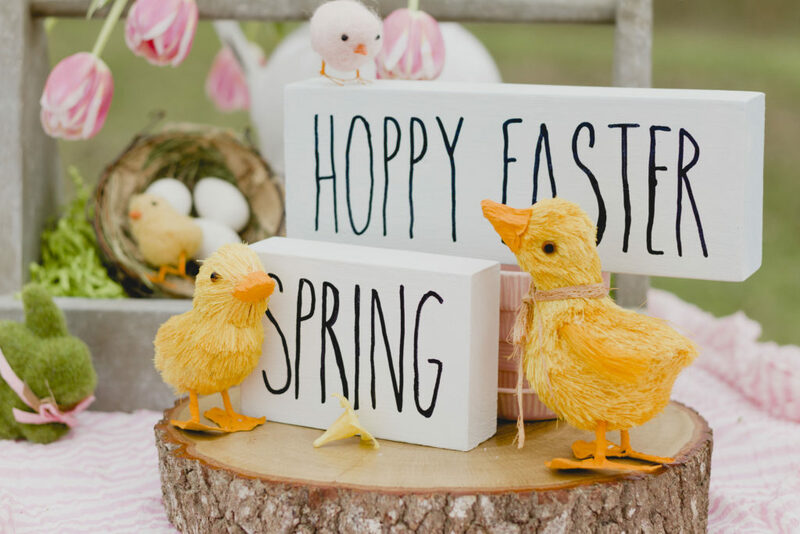 Thank you so much for hopping by I hope you enjoy creating some cute spring block signs too. These signs are adorable!! I am especially loving the spring ones! These are so cute! I know that Rae Dunn has some pink spring mugs, and I have been on the hunt for one. No luck yet, but I love your pink sign! Thanks for sharing at Sweet Inspiration! 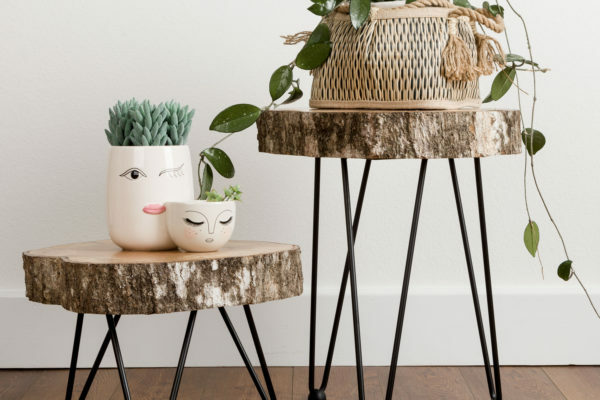 Love these, Kippi…Such a smart way to re-use 2x4s! 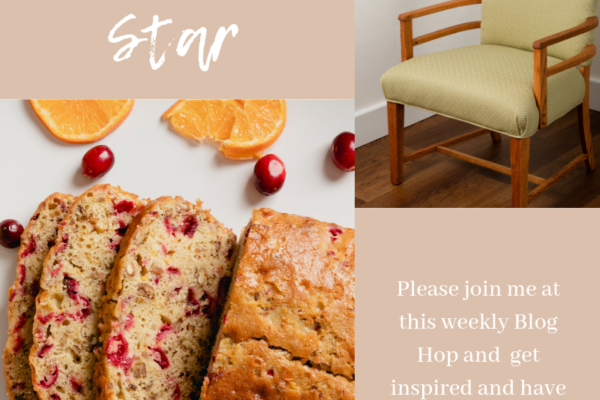 Thanks for sharing on Homestyle Gathering! Hope we see you each week! 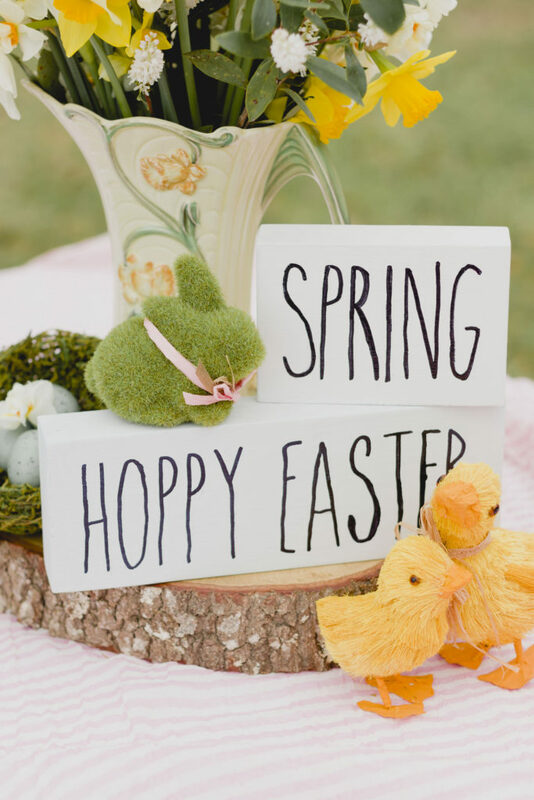 Have a wonderful Easter!